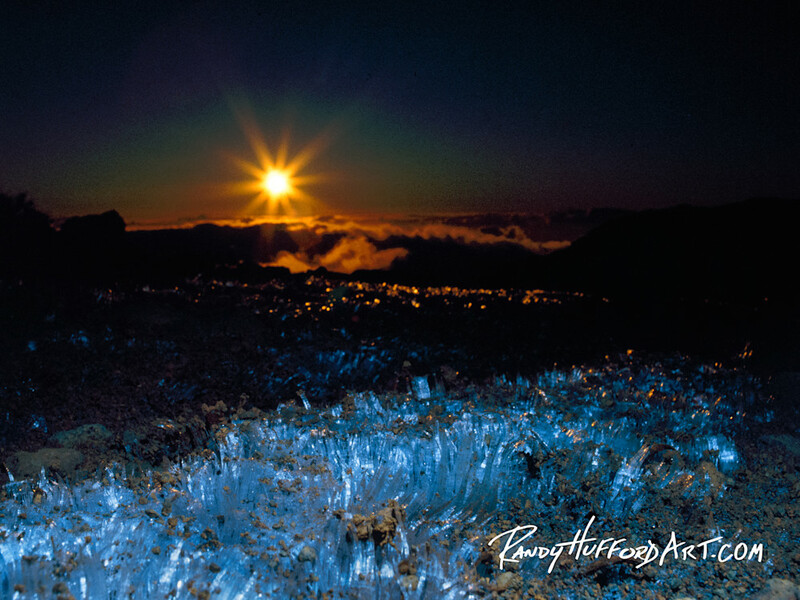 These ice crystals grow out of the lava on Haleakala Crater. These ice crystals grow out of the lava on Haleakala Crater. The moisture that is always there but we cannot see it, grows out of the lava like grass blades during the cold winter months on this barren landscape. It represents blessing on our life that we cannot see but they are always there. Sometimes it takes something cold like a struggle to see the blessings. The ice crystals farther back in this image resemble lit candles, reminding us of the loved ones lost to us over time. Gone but never forgotten.